Second qualifier of Adidas Next Generation Tournament in Munich took place between 25.01-27.01. 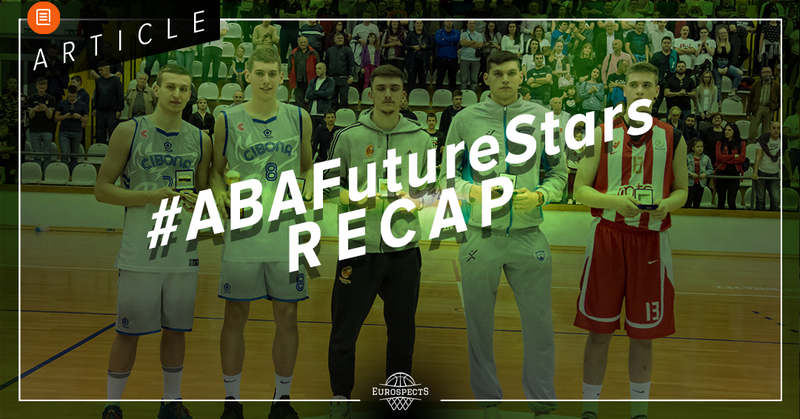 The level of competition being significantly higher than in Valencia it was an interesting event to watch with so many NBA prospects taking part. There were no surprises in the final results with so overpowered Real Madrid winning, Maccabi Tel Aviv taking the 2 nd spot and Fraport Skyliners Frankfurt closing the podium. Below is my summary of the event with a note about each team, best performers and highlighted other notable players. With a roster packed with talent, it was pretty obvious to put all the bets on the Spanish team. Real absolutely dominated the tournament, winning every game by an average of 40.5pts. The whole team looked very well prepared physically and mentally for the event not finding a worthy opponent that could stop them on the way to the top of the standings and advancing further. There were no surprises either in the final and they put a cherry on top defeating Maccabi Tel Aviv 96:58 and winning the tournament. Usman Garuba (02’, 6’8’’, Center) Absolute dominator in the paint, nimble with great footwork and at the same time has a strong body and keeps a solid base. He is a bit undersized but fits the scheme of modern basketball, playing with a high motor and passing fairly well. Has an outside shot but not very respectable, improving it would make him a lot more competitive straight away. Under the rim, he doesn’t have a match at this level of competition, plays very well back to the basket, has a nice repertoire of moves and sneaks in creative shots, able to finish with contact. Can play with the ball on the perimeter and push the transition forward but has lose dribble and sometimes loses control. MVP of the tournament, averaged 16.5pts, 7rebs, 3.8ast, 1.3stl, 0.8TO’s, 1blk, and crazy 2FG- 75.8%(25/33) in only 20min spent on the court. Mario Nakic (01’, 6’7’’, Forward) Has already nicely developed body, with a lot of muscles on his frame. Played from the perimeter with confidence getting inside strongly and playing through contact well. Needs to keep working on his shot, already got a nice shooting form and dropped few off dribble jumpers, but needs to be more reliable. Also needs to take better care off the ball and be more careful with his passes as he averaged – 2.3TO’s in 22mins. Solid on ball defender but makes small mistakes by not looking where his man is and getting lost in the rotation. Averaged 14pts, 5.3rebs, 2.5ast, 0.8stl, 2.3TO’s. Amar Sylla (01’, 6’9’’, Center) Crazy physical tools, long arms, legs and great mobility that allows him to finish above the rim with dunks/alley-oops regularly and be a genuine rim protector. Moves around the rim well, knows where he needs to be to get a pass for an easy dunk or layup. Doesn’t have a wide range of post up moves yet and his back to the basket game needs to be further developed. Made all his shots from the charity stripe in the event (12/12), but his in game shots weren’t as confident with a rather slow release and not smooth form. Showed a lot of upside as a defender mainly helping from the second line, rotating well and sending the ball away with flashy blocks. Selected to the All-Star Five, averaged 14.5pts, 7.8reb, 1ast, 0.8stl, 1.5TO’s, 3blk in roughly 20 minutes spent on the floor. Boris Tisma (02’, 6’8’’, Forward) Lefty sharpshooter, with a nice stroke, long body and high shoulders. Was off to a good start in the group phase shooting very well from beyond the arc converting 46.2% of his shots, but then had a cold streak in the final missing all of his 5 shots and finishing without a point. Not much of a playmaker, relies heavily on catch and shoot opportunities, but can also beat his man off the dribble and get inside confidently. Too passive, not very aggressive, has more laid back style, but looked stronger since the summer and was finishing inside more boldly than before. Mediocre on ball defender and rebounder usually looking for a break straight away. Averaged 8.3pts, 1.3reb, 0.3ast, 0.5stl, 1TO’s. Maccabi relied heavily on their best prospect in the 01’ generation borrowed from the first team in Tel Aviv – Deni Avdija. Being the clear centrepiece, he carried the team without a loss to the finals, but they couldn’t beat overpowered Real Madrid. They attempted the most 3-point shots in the event (123) building their offense around his isolations and ball distribution after double teams that left shooters open. 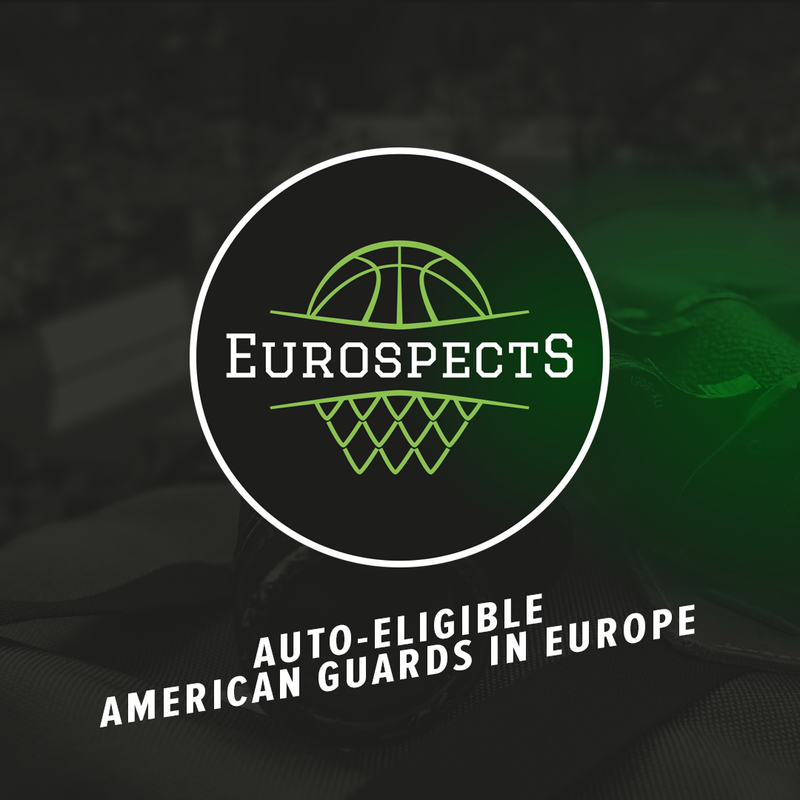 Deni Avdija (01’, 6’9’’, Guard/Forward) The best prospect in the event, played with a lot of maturity and basketball IQ outperforming all of his peers. Swingman with unique physical tools, nimble, with very impressive fluidity that allowed him to get by the opponents easily, collapse the defense regularly or finish through contact. Appointed as a point forward and a primary ball handler, controlled the pace fine and was distributing the ball very well from the top, on the move, off the PnR or after his drives drawing attention and delivering to open shooters. His very good ball control allowed him to separate from the defender in the isolation, take a step back or pull off the dribble quickly. Confident in his shot, very smooth release and mechanics, draining shots in series. Rested on the defensive end was doing a great job cutting through passing lanes and starting breaks. Sees opportunities arise but sometimes has a problem with delivering the ball accurately, also didn’t impress with his FT% finishing with poor-51.4%. 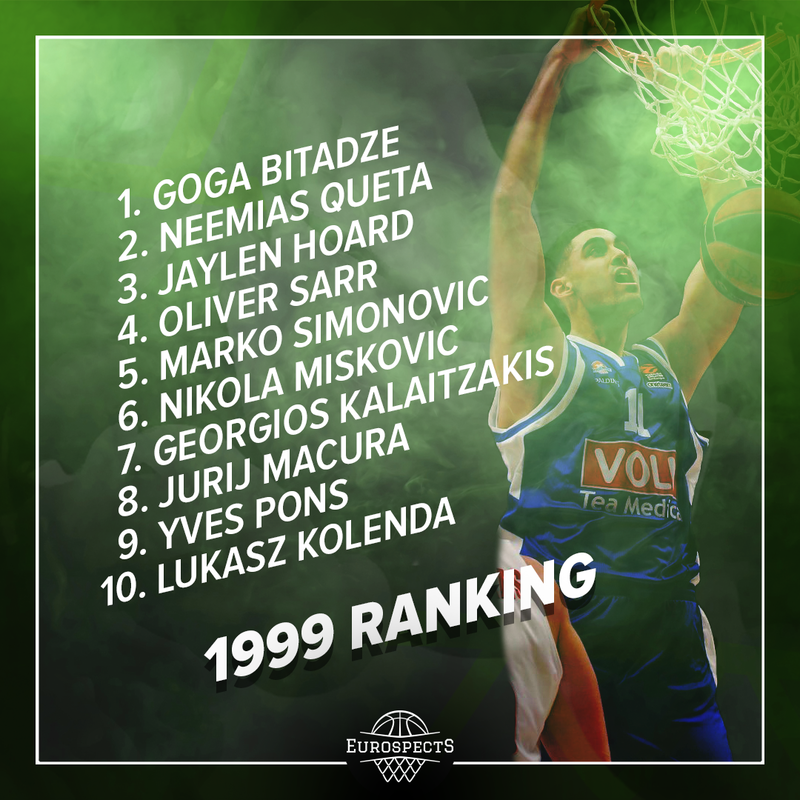 Made history as a 6 th player in ANGT history that managed to get a triple-double, he averaged 24.3pts, 11rebs, 6ast, 3.8stl, 3.8TO’s, 0.5blk and was also selected to All-Star Five. Sahar Dori (01’ 6’5’’, Forward) Undersized forward, not much of a ballhandler, waits for the game to come to him. Solid 3 point shooter, occasionally playing from the perimeter but being most efficient of the catch and shoot. Good role player, active on the defensive glass, unselfish, sees better positioned teammates willing to make an extra pass. Needs to improve his ball handling in order to be more competitive as he doesn’t look confident at the moment. Averaged in the event 13.5pts, 6.5reb, 2.3ast, 1stl, 1.5TO’s. Finished 6 th , after winning only one game in the group phase with Panathinaikos and losing to Bayern Munich to a 5 th spot 62:94. Malte Delow (01’, 6’6’’, Guard) Leader of the team, conducting the offense and distributing the ball. Average speed with the ball but able to get inside using screens or beating opponent off the dribble. Solid finisher inside, draws fouls, didn’t miss a shot from the FT line (11 attempts) not afraid of contact. Sometimes lost in the rotation, forgets to find a body to box out. Rested in the last game managed to get 14pts, 5reb, 4ast, 2.3stl, 4TO’s, 0.7blk on average in the group phase. Elias Roedl (02’, 6’5’’, Guard) Mostly relies on his 3 point shots, converting well both off the catch and off the dribble, got a decent 33.3% on 33 attempts. Has an average first step not always being able to get past his defender and get inside, not much of a playmaker. Often beaten on defense, sometimes confused in the rotation or losing sight of his man. In the event he averaged 13pts, 1.5reb, 0.8ast, 0.8stl, 1.3TO’s. The host team won only one game in the group stage to weaker Partizan and lost the other two to Frankfurt and Tel Aviv by a small margin. Despite having some interesting names on their roster with a lot of potential, they finished 5 th after beating ALBA Berlin 94:62. Jason George (01’, 6’7’’, Forward) Two-way forward that plays with a lot of effort and aggressiveness. Assigned to defend the most talented player on the opposing team, was doing a very good job limiting significantly their offensive impact. More focused on locking down the attacker and keeping his position than sticking his hands in passing lanes hence the low numbers off steals. Only took 9 attempts from beyond the arc usually off the catch relying more on his drives, ability to separate himself and get inside. Active on the boards, occasionally plays mid range, back to the basket and tries using fadeaways. Averaged 15pts, 4.8reb (2.3oreb, 2.5dreb), 1.8ast, 1stl, 1.3TO’s and was selected to All-Star Five. Matej Rudan (01’, 6’8’’, Forward) Versatile, lengthy forward with nice physical tools, plays both inside and on the perimeter getting inside off the dribble as well as stretching the floor for his team. Able to hold his ground on defense, rotates accordingly and goes after rebounds. Controls the ball well, has a decent vision and a good shot. The best scorer on his team averaged 15.3pts, 7.3rebs, 0.5ast, 0.5stl, 2.3TO’s, 1blk. Lost only one game in the group phase after a close first half to Maccabi 58:73 and advanced to play Ulm for a spot on the podium. 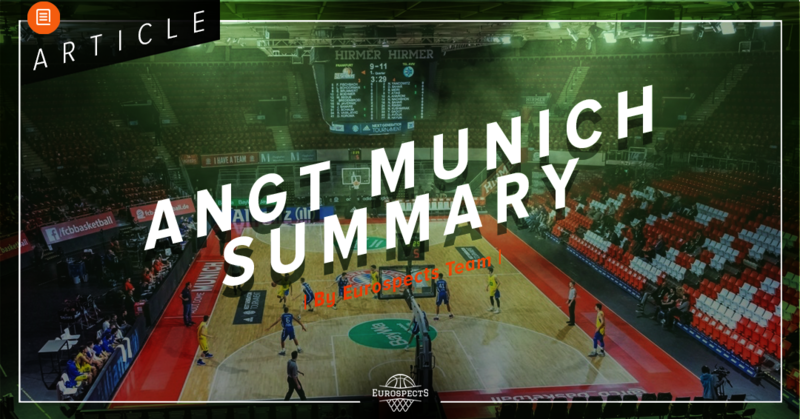 After an easy first quarter winning 29:13, Ulm managed to pick up the slack and give them a run for their money getting within few possessions but eventually Frankfurt had a last say in the fourth and finished 3 rd on the podium. Len Schoorman (02’, 6’3’’, Guard) Very fast, athletic with a quick jump ability. Primary ball handler that looks first for a drive inside rather than a pass. Able to push the ball forward, leading his way through traffic, fighting through the lane and finishing inside sometimes even by putting the defender on the poster, also effective as a slasher. Tried to stretch the floor taking 19 shots in the event but converting only 5, his FT shooting wasn’t impressive either getting only –55.6%. Needs to work on his shot and develop his playmaking skills further in order to be more competitive. Fair on ball defender but could progress thanks to his physical tools and overall quickness. Top scorer on the team averaged 13.8pts, 4.8reb, 1.8ast, 1.8stl, 2.3TO’s. Jordan Samare (02’, 6’8’’, Center) Undersized mobile center, rim runner, active on the offensive glass snatching on average 4 rebounds giving his team a lot of second chance opportunities. Positions himself well and slashes to the rim, occasionally plays back to the basket with mixed results. Definitely needs to improve his shot, doesn’t look confident, no 3’s and poorly performed from the free throw (28.6%). Averaged 13pts, 7.5rebs (4oreb, 3.5dreb), 0.3ast, 0stl, 1.3TO’s, 0.5blk. The last team in the tournament, without any big names on their roster they put up a good fight in the first game losing to ALBA Berlin only by 4 points, but then were overpowered by Ulm and Real. Sent to the game for a 7 th spot, lost to Partizan 77:62 and went home with losing all 4 games in the event. Emmanouil Kontoudis (02’, 6’3’’, Guard) Creative with the ball, has a firm dribble and is able to change direction quickly. Good passer, always with his head up, nice field view and confident left hand dribble. Knows how to use screens to his advantage and share the ball, likes to stop on the drive and pull a mid range shot but didn’t convert well. Shot really bad from beyond the arc – 11.1% and FT line – 33.3%. Averaged 6pts, 3.5reb, 2.8ast, 0.8stl, 2.8TO’s. Anastasios Kostopoulos (02’, 6’5’’, Guard) Unathletic guard with average speed, sometimes didn’t look engaged in the game. Uses screens well to get in position or separate from the defender to pull a shot or get inside, willing to make an extra pass to better positioned teammate. He showed some glimpses of playmaking abilities and a good feel for the game. Looked like he had confidence off catch and shoot, but didn’t convert well 3PTS – 4/18(22.2%). Average on ball defender, sometimes makes small mistakes and positions himself poorly. Managed to get on average 8.8pts, 2.5reb, 2.3ast, 1.3stl, 2.5TO’s. 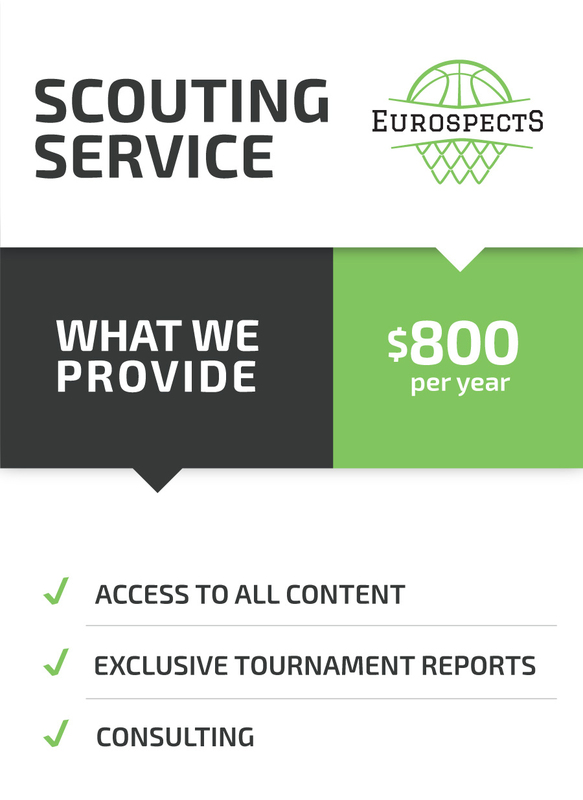 Aristotelis Sotiriou (01’, 6’8’’, Forward) Forward that knows how to use his strength inside, very active, drives aggressively or slashes to the rim, not afraid of physical contact. In the one game that he played he managed to get himself to the foul line regularly getting very good – 9/11. Didn’t play much due to minor injury suffered in the first game of the tournament but manged to get an impressive 29pts, 7reb, 0ast, 2stl, 5TO’s stat line. After losing all three fairly close games in the group stage, they got matched up with Panathinaikos for a 7 th spot. In the last showing, every quarter consistently, they were adding up to the lead and eventually winning 77:62 and securing their first win in the event. 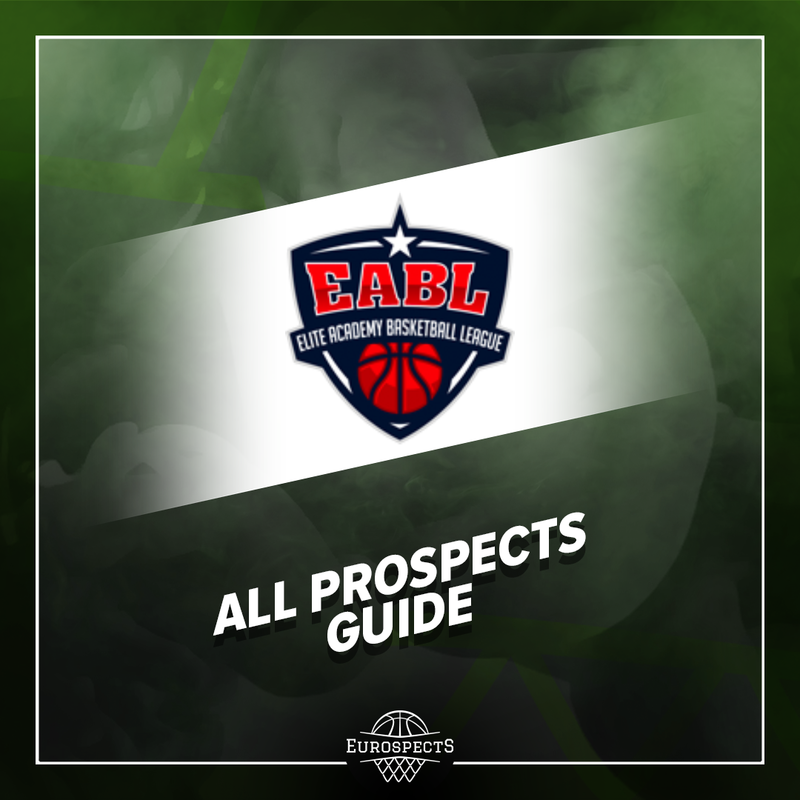 Lazar Stefanovic (02’, 6’5’’, Guard) Primary ball handler on the team, taking care of the playmaking with his head up and nice vision, got the most assists on his team. Able to separate from the defender, get inside and distribute the ball after defense collapsing. Slim frame but fair on ball defender, playing with hustle rotating well, helping and going after defensive rebounds. Didn’t impress from the 3 point line on this occasion converting 3 out of 14 shots taken, tends to lose the ball under tight defense. Averaged 12.5pts, 5.5rebs, 3ast, 1.5stl, 3TO’s. Dusan Tanaskovic (01’, 6’10’’, Center) Already big developed body, but because of few extra pounds on his frame his not very fast in the open court. Dominant back to the basket scorer with good footwork, soft touch but limited repertoire of moves usually using baby hook over the left shoulder. Covers ground nicely on defensive end rotating well, helping from the second line and having very good instincts and timing for blocks. He’s also a solid 1vs1 defender able to keep a strong base, bother the opponent and contest the shot, sometimes even too aggressive getting into occasional scraps with opponents in the paint. Needs to work on improving his range of moves in the post because when matched up with better defenders his next move is going to be just too obvious. Can’t stretch the floor, not even looking at the rim from longer distances, only relies on his inside game at the moment. The top scorer on his team, the best rebounder in the event and was also selected to the All-Star Five with averages of 16.8pts, 11.3rebs, 1.8ast, 1stl, 2.8TO’s, 2.5blks. Played very well in the group phase and only lost one game to the overwhelming Real team, they got matched up against Frankfurt for a spot on the podium. After very good individual performances from Zachary Ensminger and Aleksa Bulajic in the last game of the tournament they lost 61:86 and finished 4 th . Zachary Ensminger (01’, 6’4’’, Guard) Focal point of the team, getting inside regularly off the dribble distributing the ball very well and delivering points in the important moments especially in the game for a 3 rd spot. Has an ability to deliver timely passes, tight dribble and a good overall feel for the game. Plays passing lanes, has a good sense for the steals and guards fairly. He’s shooting from the perimeter wasn’t the best getting only – 4/18. He averaged 13pts, 6reb, 5.3ast, 2stl, 2.8TO’s. Aleksa Bulajic (02’, 6’4’’, Guard) Young guard with very fluid moves, handles and body control. Played as a 6th man, coming off the bench in all of the games but still had a massive impact on the Ulm’s offense and was the top scorer on the team. Played as a secondary ball handler, has a good vision, nice passing ability, was able to get inside and finish with contact. Doesn’t lean much on his shot but got some exceptional numbers from the 3 point line – 83.3% (only 6 shots attempts) and mediocre – 66.7% from FT line. Averaged 15.3pts, 2reb, 3.5ast, 1stl, 2TO’s. Andrija Grbovic (03’, 6’8’’, Forward) One of the youngest players in the tournament, got some valuable experience playing on average 20 minutes a game, already has a nice size but a still undeveloped body. Had very good numbers from beyond the arc, shooting from the spot with confidence and delivering most of his points that way. It will be interesting to see him in the bigger role next year but there is no doubt there is a lot of potential. Averaged 10.3pts, 2reb, 0.3ast, 0.3stl, 0.5TO’s.